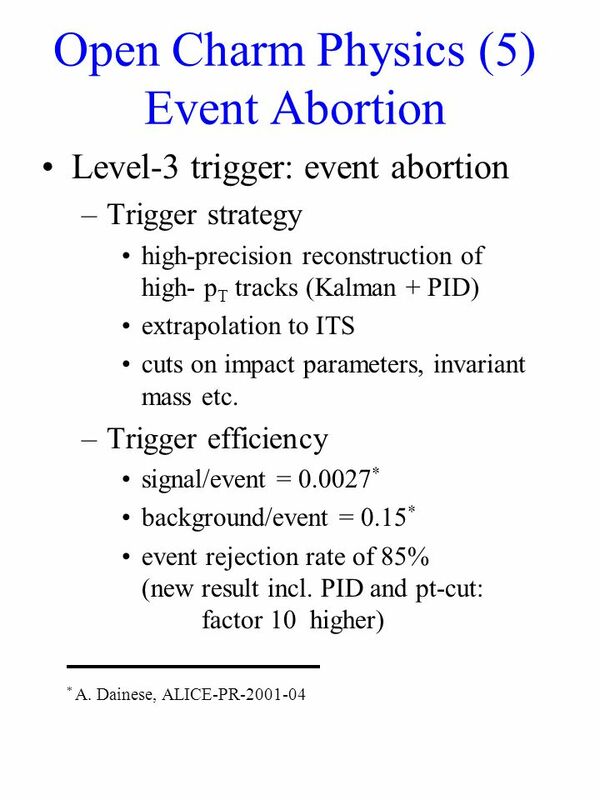 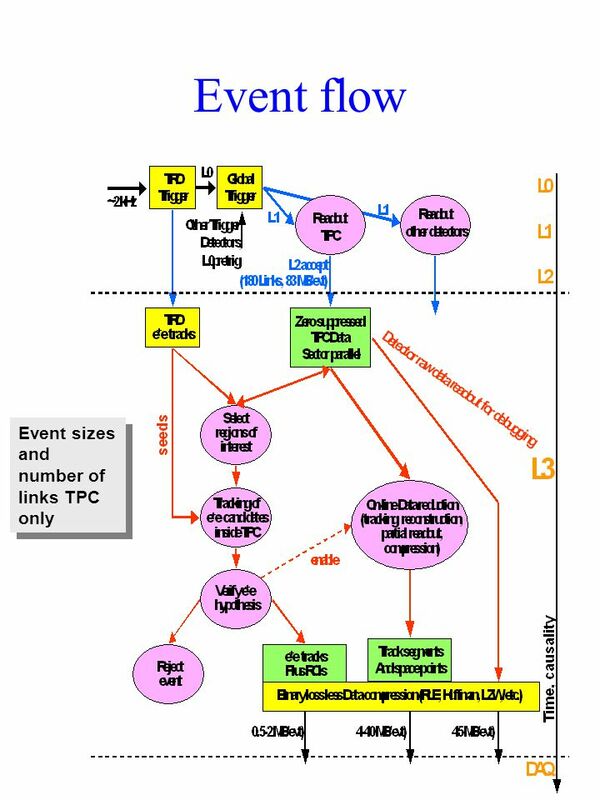 Download ppt "High Level Trigger (HLT) for ALICE Bergen Frankfurt Heidelberg Oslo." 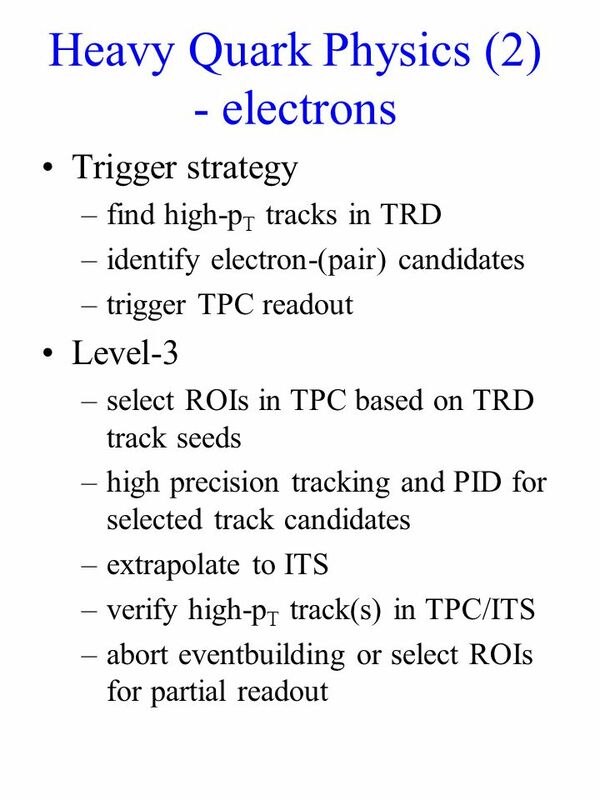 HLT Collaboration; High Level Trigger HLT PRR Computer Architecture Volker Lindenstruth Kirchhoff Institute for Physics Chair of Computer. 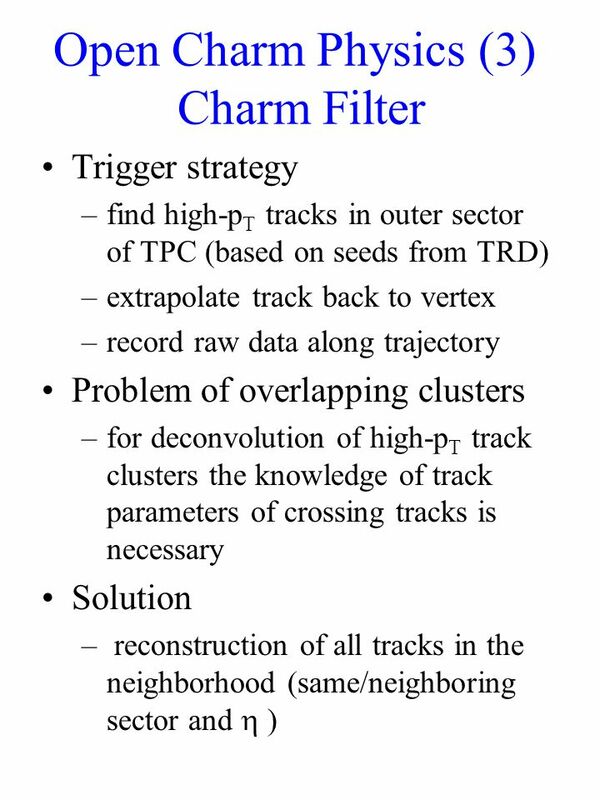 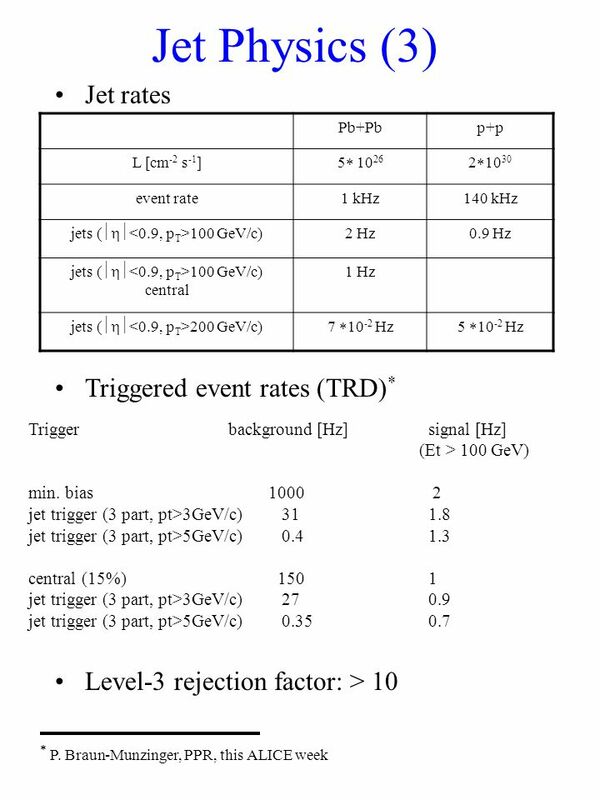 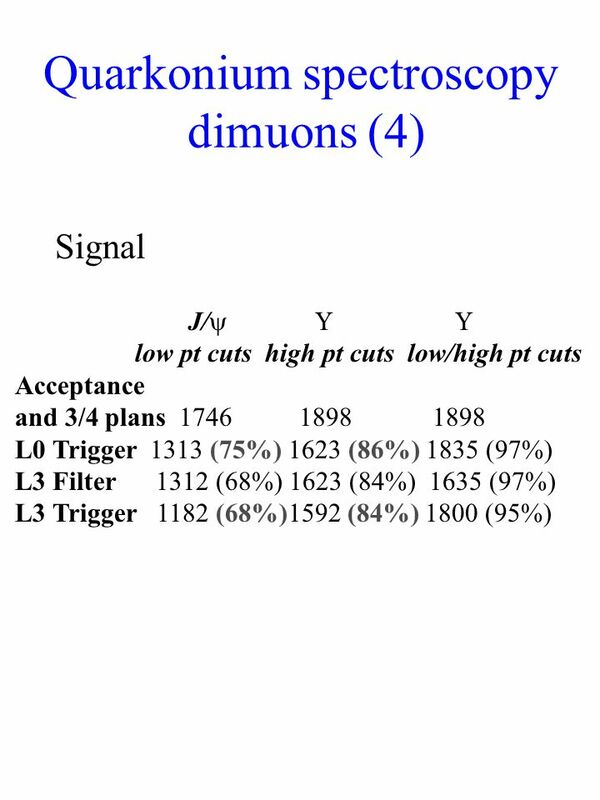 STAR Status of J/  Trigger Simulations for d+Au Running Trigger Board Meeting Dec5, 2002 MC & TU. 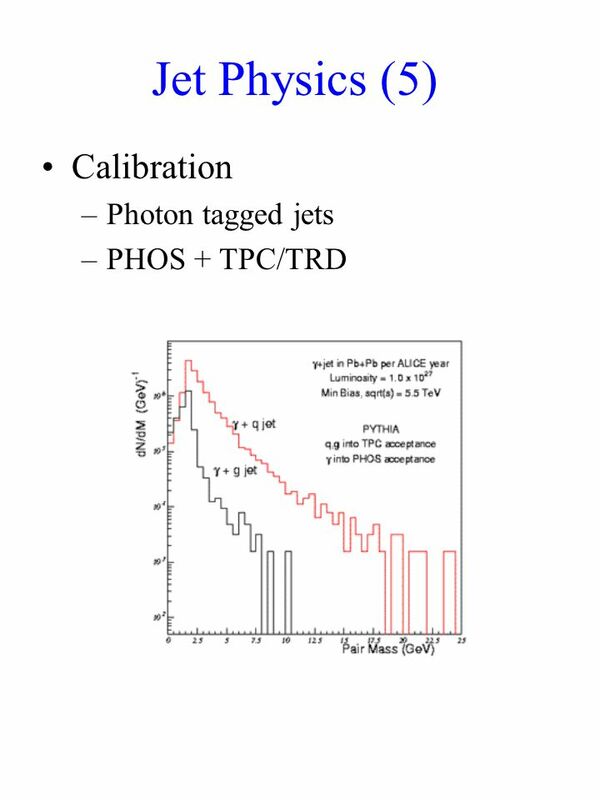 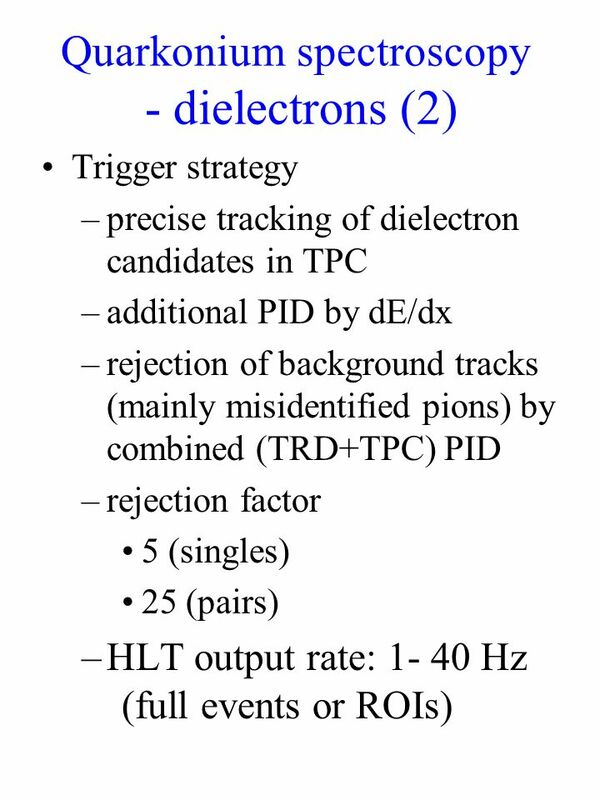 Dielectron Physics with ALICE Transition Radiation Detector (TRD) Prashant Shukla (for the ALICE TRD Collaboration) Institute of Physics University of. 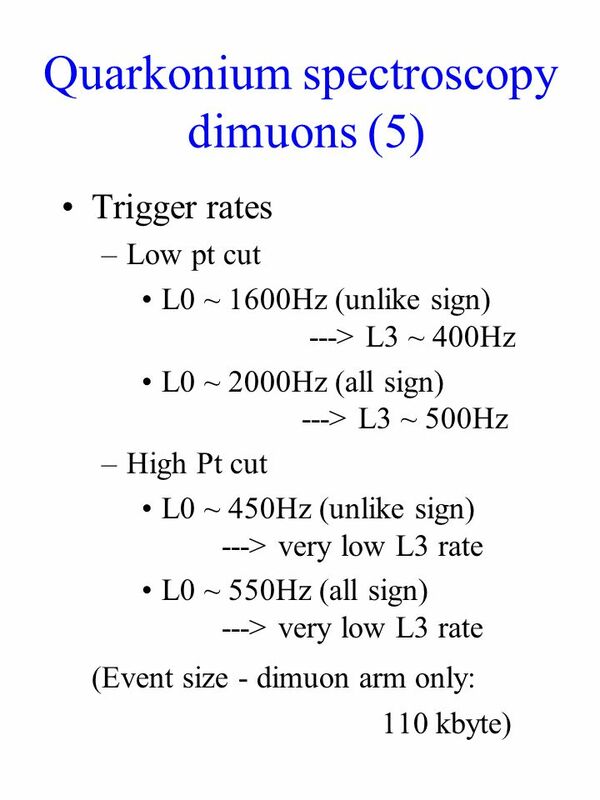 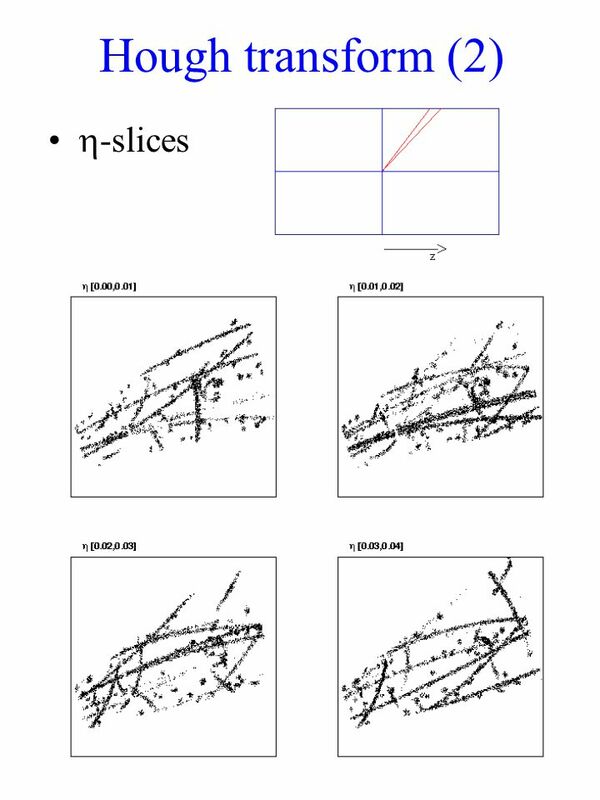  Trigger for Run 8 Rates, Yields, Backgrounds… Debasish Das Pibero Djawotho Manuel Calderon de la Barca Analysis Meeting BNL October 16, 2007. 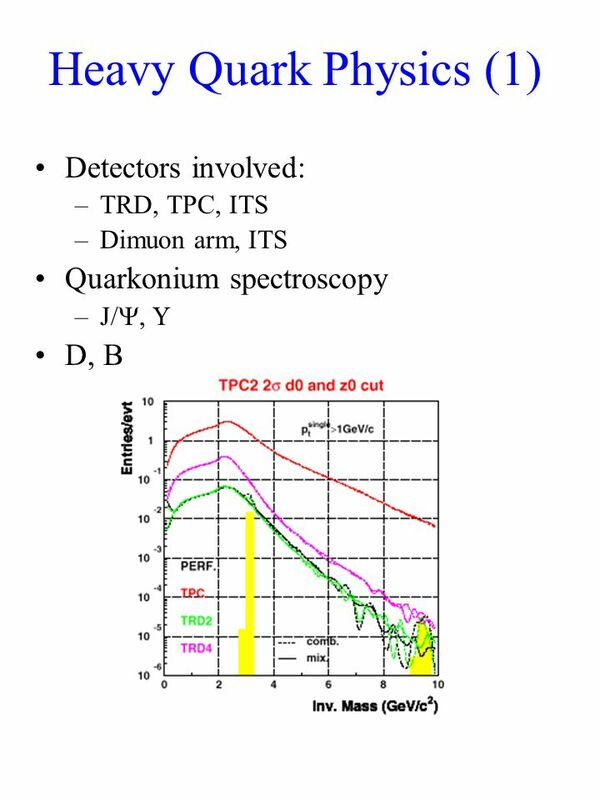 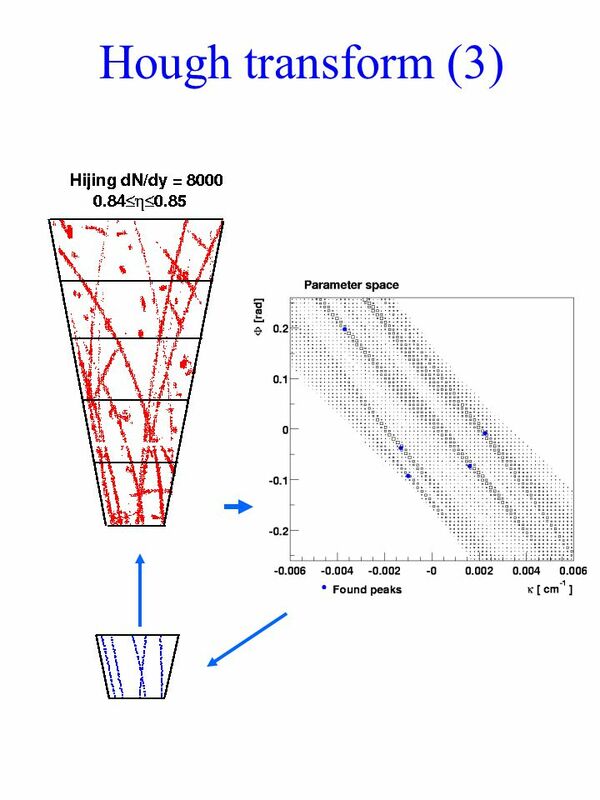 PHENIX Decadal Plan o Midterm upgrades until 2015 o Long term evolution after 2015 Dynamical origins of spin- dependent interactions New probes of longitudinal. 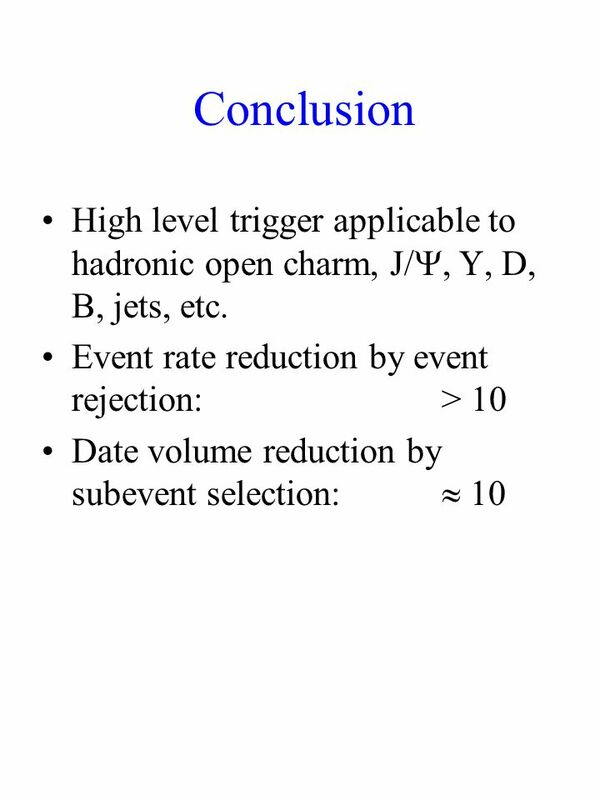 HLT - data compression vs event rejection. 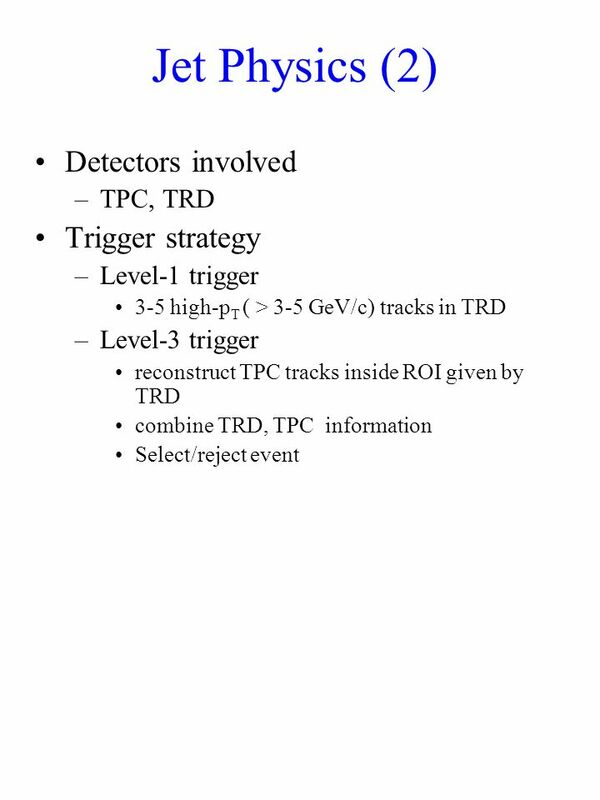 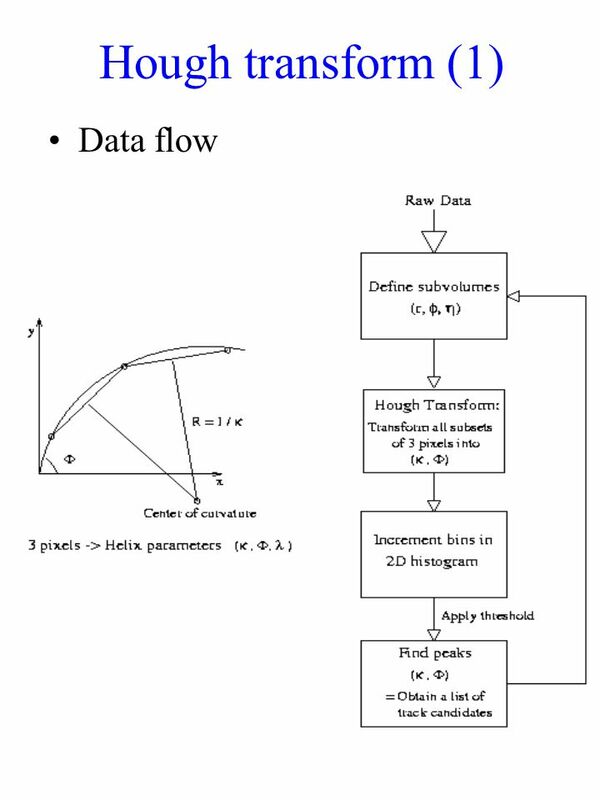 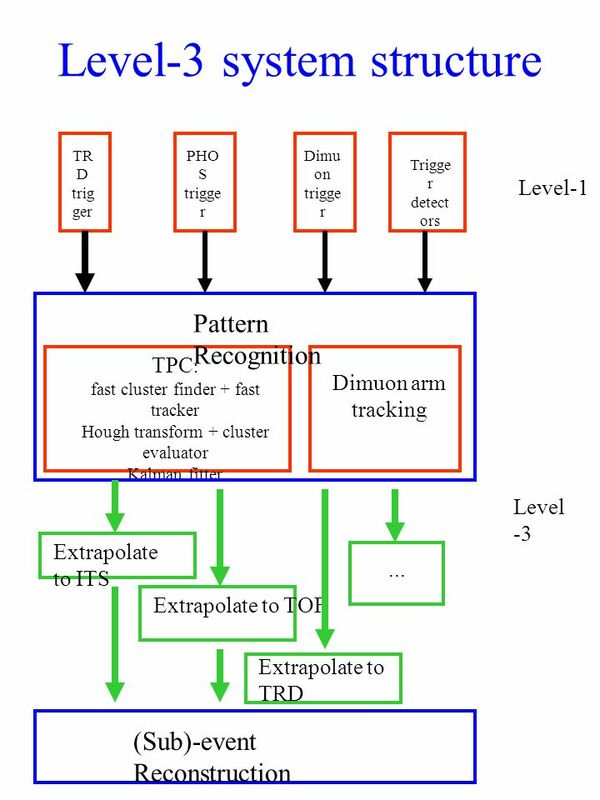 Assumptions Need for an online rudimentary event reconstruction for monitoring Detector readout rate (i.e. 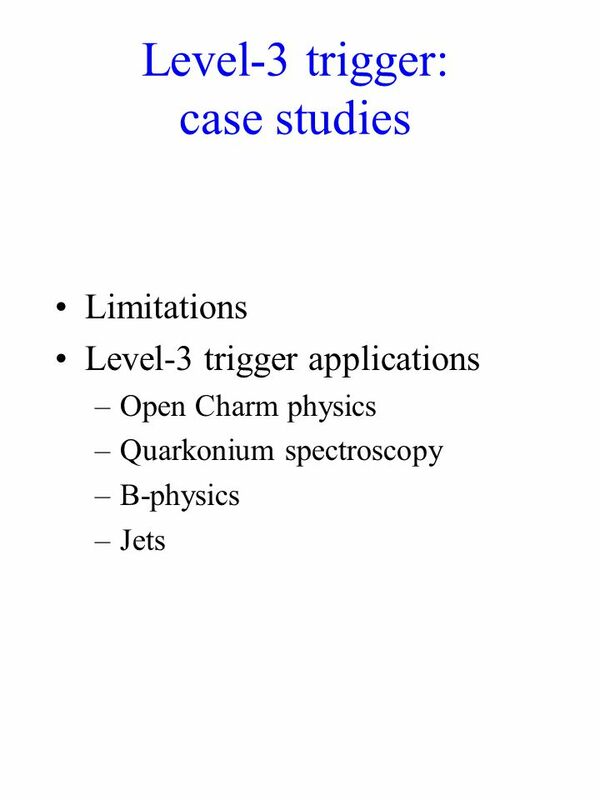 High Level Trigger – Applications Open Charm physics Quarkonium spectroscopy Dielectrons Dimuons Jets. 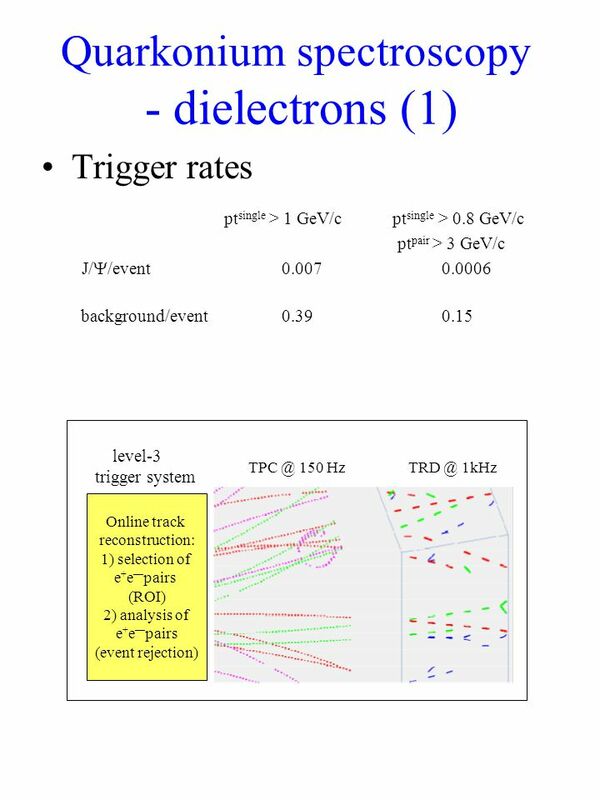 CMS High Level Trigger Selection Giuseppe Bagliesi INFN-Pisa On behalf of the CMS collaboration EPS-HEP 2003 Aachen, Germany. 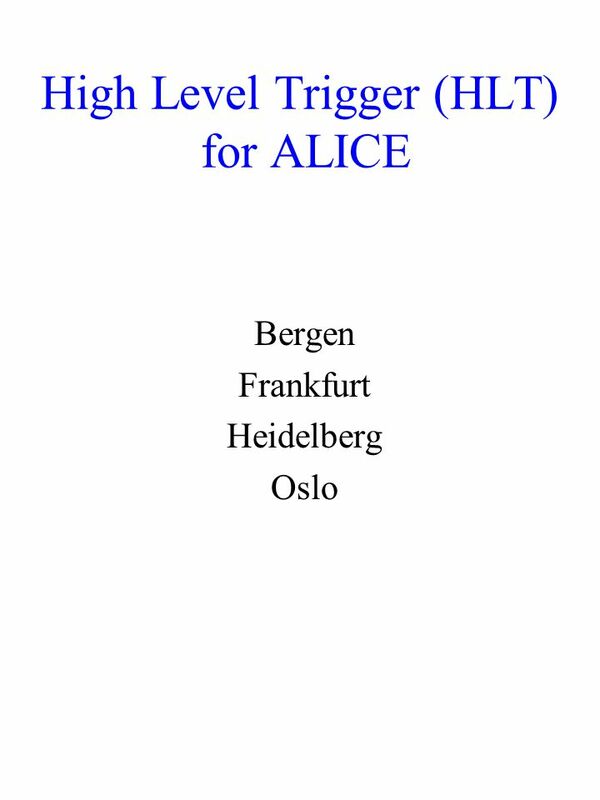 Level-3 trigger for ALICE Bergen Frankfurt Heidelberg Oslo. 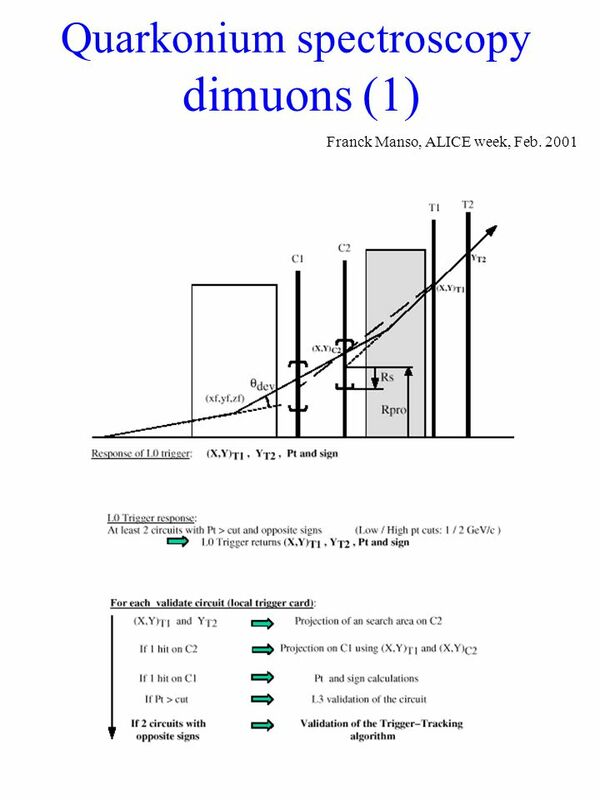 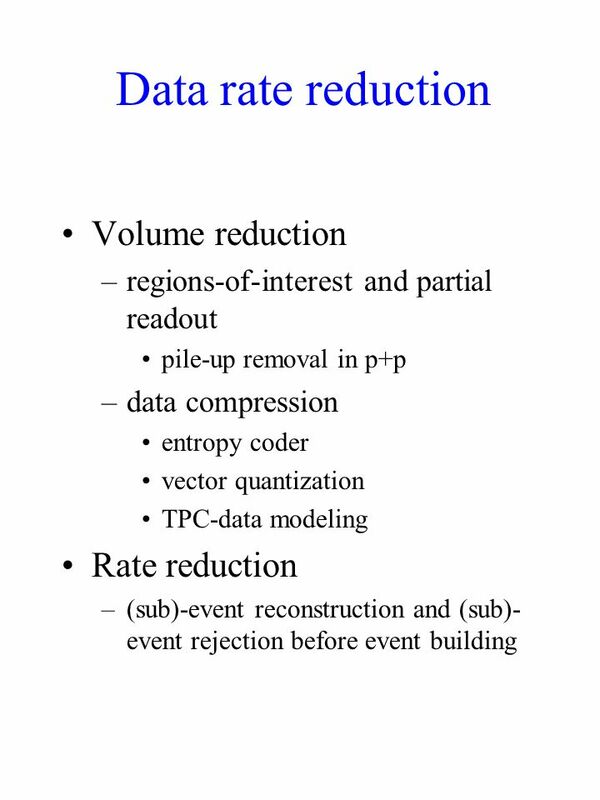 Data rate reduction in ALICE. 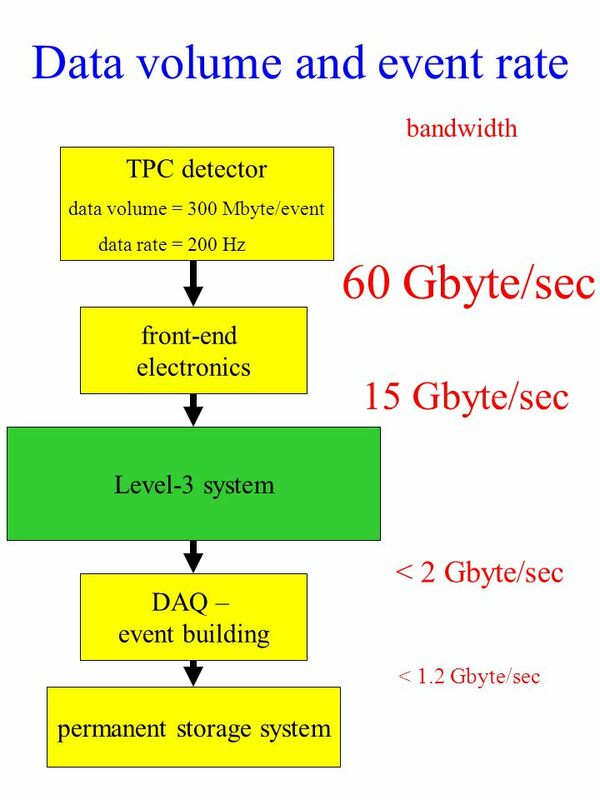 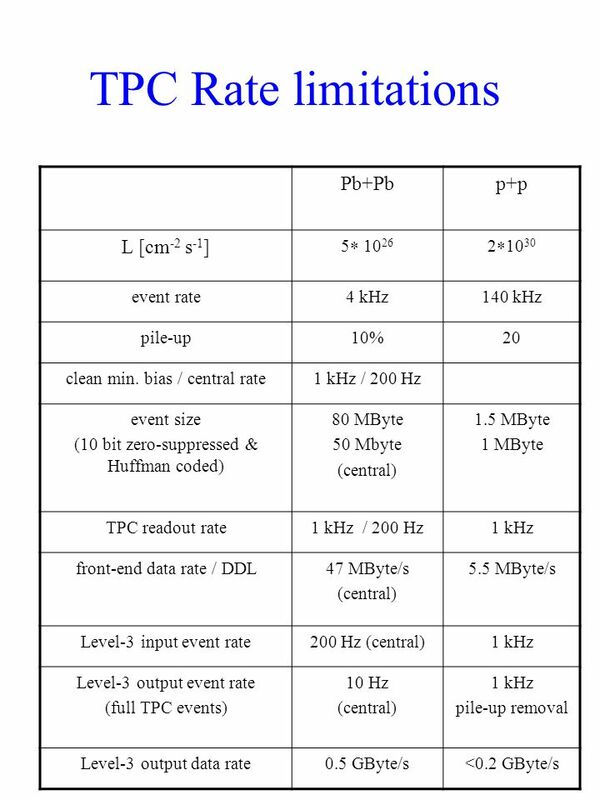 Data volume and event rate TPC detector data volume = 300 Mbyte/event data rate = 200 Hz front-end electronics DAQ – event. 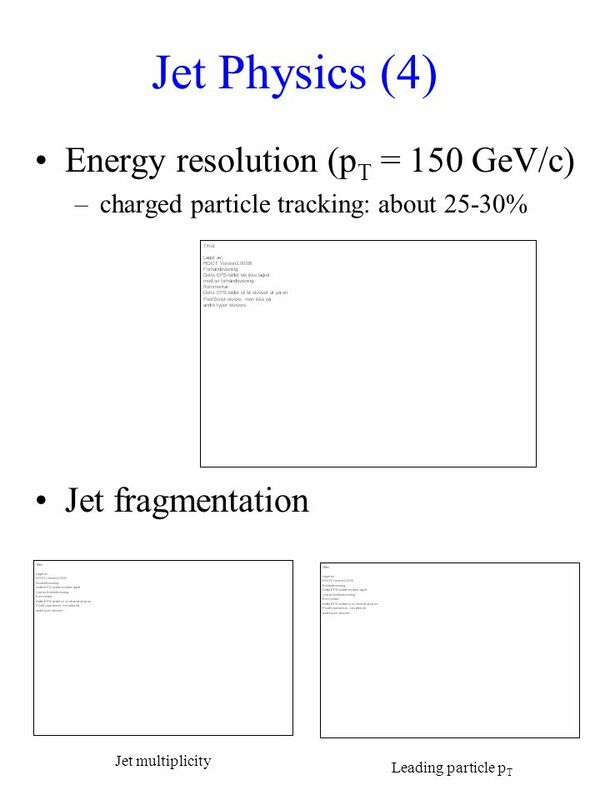 Winter Workshop on Nuclear Dynamics, Heavy Ion Physics with CMS: Day-One Measurements Olga Barannikova for the CMS Collaboration. 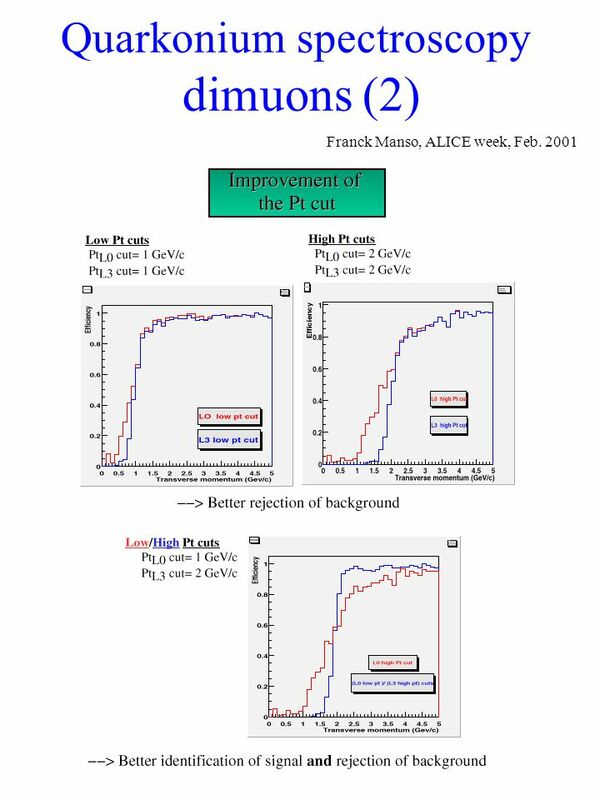 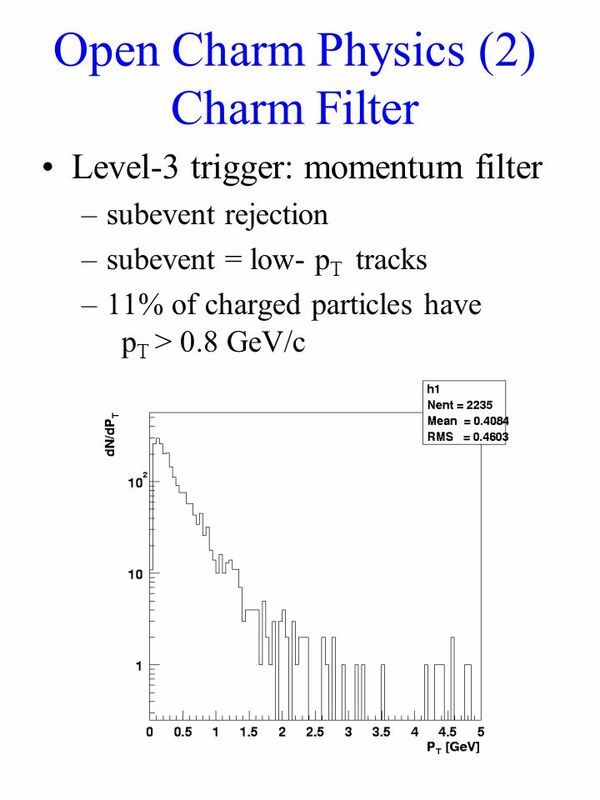 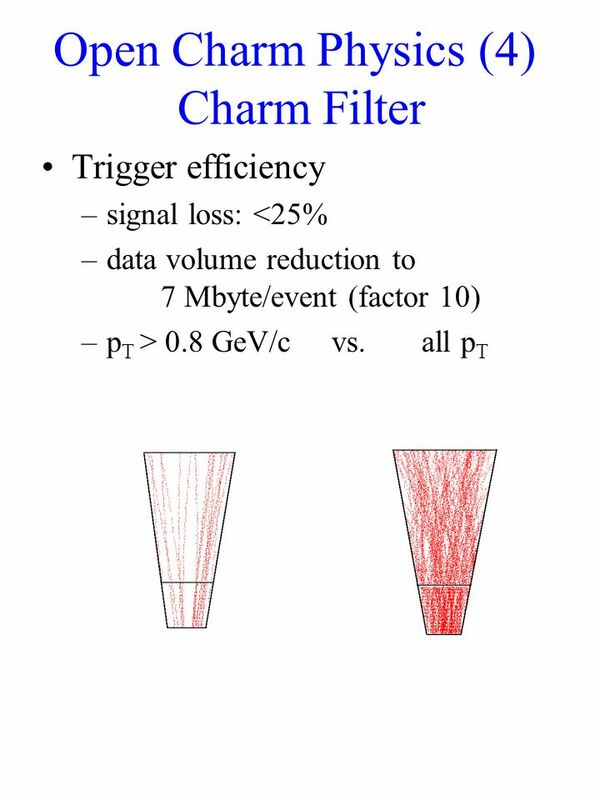 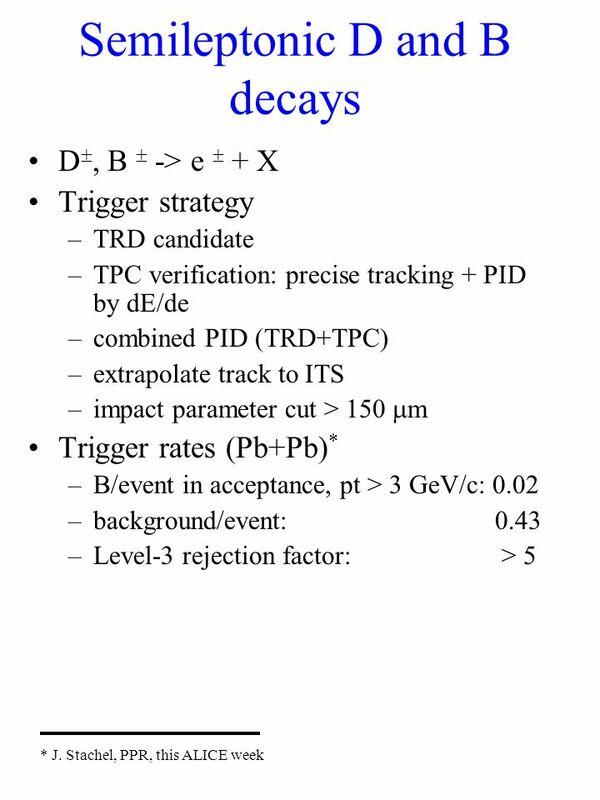 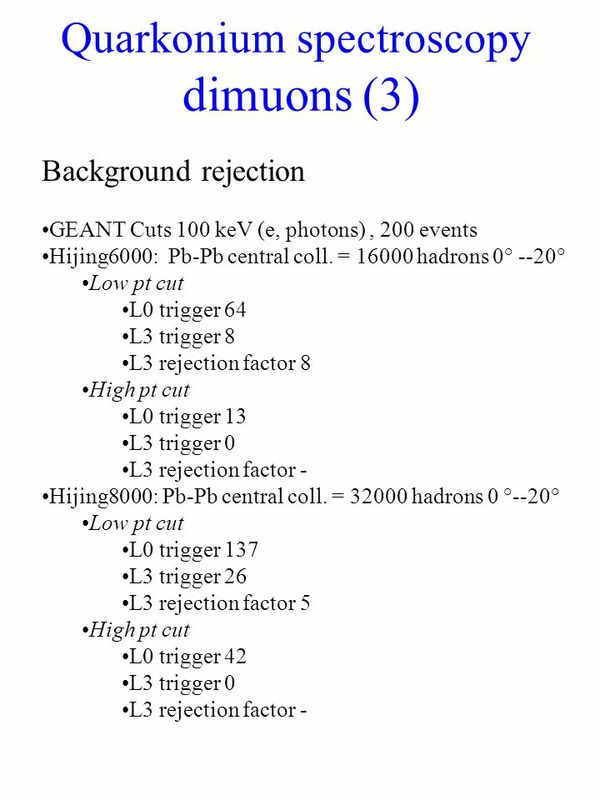 Daniele Benedetti CMS and University of Perugia Chicago 07/02/2004 High Level Trigger for the ttH channel in fully hadronic decay at LHC with the CMS detector. 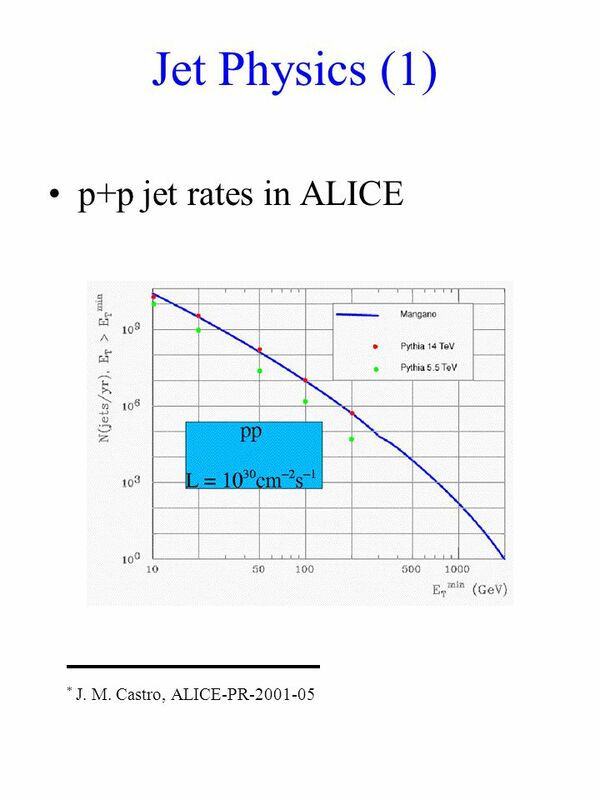 Specification and Simulation of ALICE DAQ System Giovanna Di Marzo Serugendo. 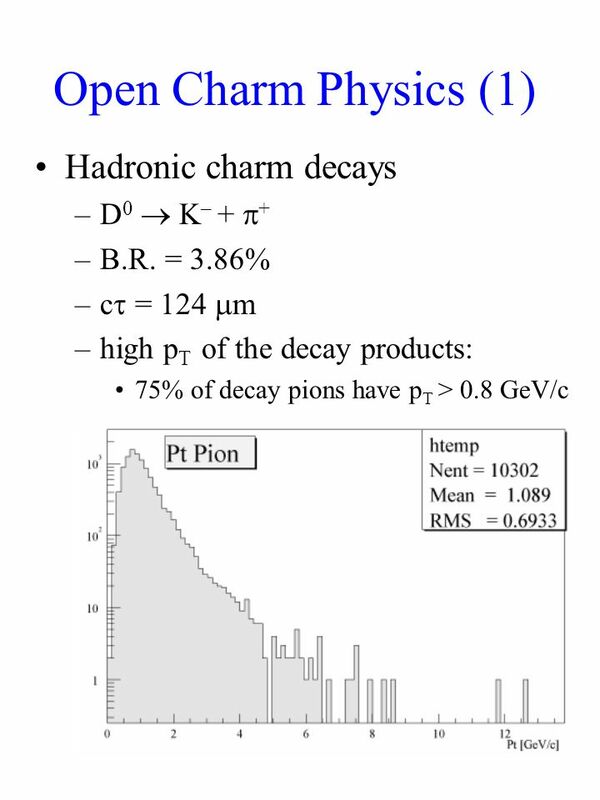 Topological D-meson Reconstruction with STAR Using the Silicon Vertex Tracker (SVT) Sarah LaPointe Wayne State University SVT review, BNL, July 7 th /8.